In der Umgebung von Stränden und wunderschönen Gärten befinden sich diese hübschen 141 Classic-Zimmer (30 m²). Funktionalität, guter Geschmack und Modernität in der Gestaltung und der Dekoration. Für die Erholung gibt es nichts Besseres als eines unserer 59 schönen Classic-Zimmer mit Meerblick und 30 m2 Fläche. Sie bieten gehobenen Komfort und Zweckmäßigkeit, ergänzt durch die Aussicht auf das Meer und die Natur. In jedem der 15 Juniorsuiten des Hotels, werden Sie sich wie zu Hause fühlen. Geräumig (60 und 104 m²) und komfortabel, von Licht und Farbe durchflutet. 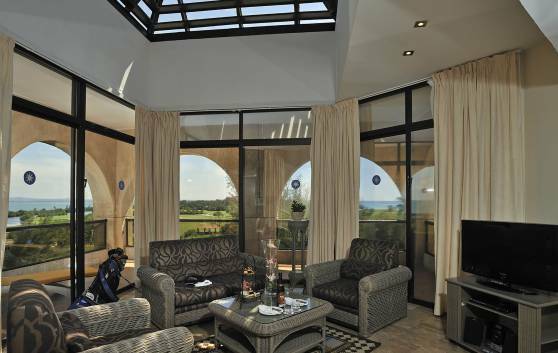 Our Grand Suite is exclusive duplex accommodation boasting wonderful views of the garden, the golf course and the sea. 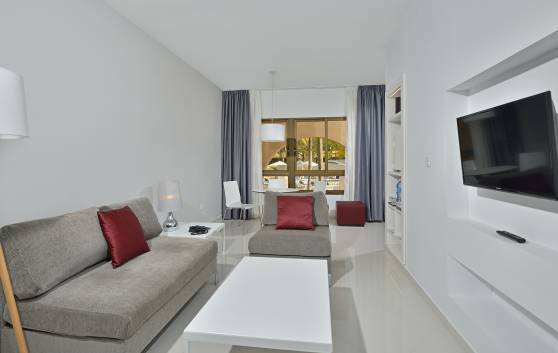 In an area of 80 m², guests are invited to enjoy an experience of luxury and privacy. 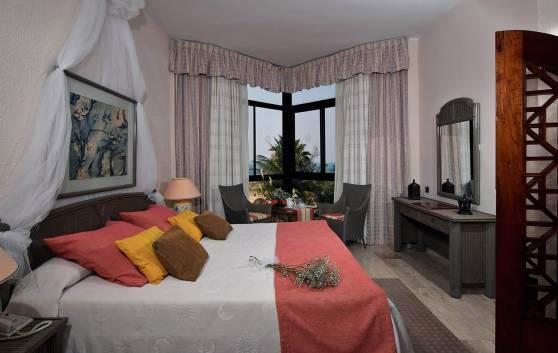 Consists of a hall, lounge/dining room, kitchenette, bedroom, two bathrooms (one with hydromassage), as well as a terrace and terrace-garden. The ideal space for honeymoon couples. Diese geräumigen Zimmer verfügen über große Fenster mit herrlichem Blick auf das Meer und den Pool. Mit einem modernen Design und einer Fläche von 85 m² verfügen sie über eine Halle, Wohn-Esszimmer, ein Schlafzimmer und zwei Badezimmer. 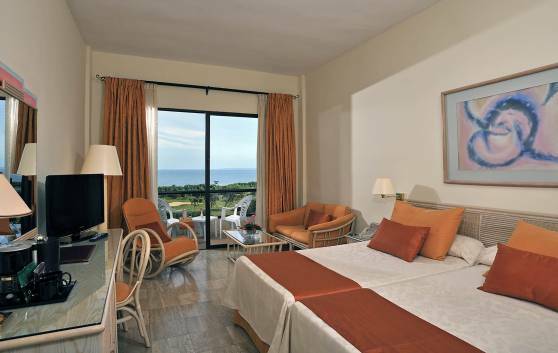 Golf lovers can enjoy a unique panoramic view from these comfortable rooms, including views of the gardens and the sea. In a spacious area of 80 m² they boast a hall, lounge with terrace and views of the golf course, bedroom with sea views, two bathrooms (one with hydromassage) and terrace. 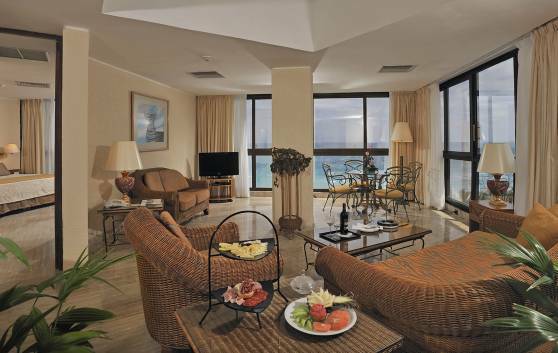 Comfort and style are the distinguishing features of our Presidential Suite. 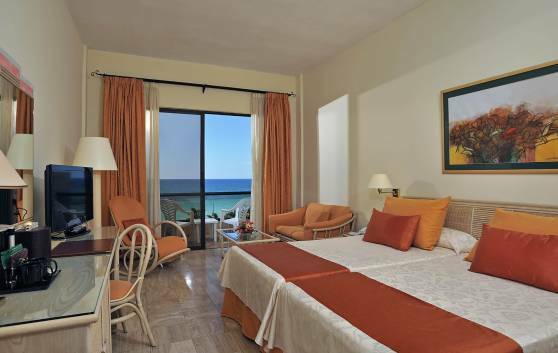 These rooms boast unique views of the Varadero golf course, the hotel gardens and the sea. In an area of 90 m², they boast a hall, lounge-dining room, kitchenette with terrace and views of the golf course and gardens, living room and bedroom with views of the sea, as well as two bathrooms (one with hydromassage). 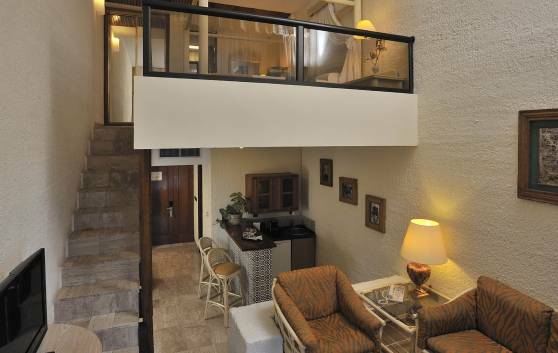 These rooms, located outside of the central building, in bungalows with ground and top floor, overlook the garden and the pool. In an area of 85 m², with their wonderfully modern design, they boast a lounge-dining room, bedroom, bathroom, kitchenette and terrace. 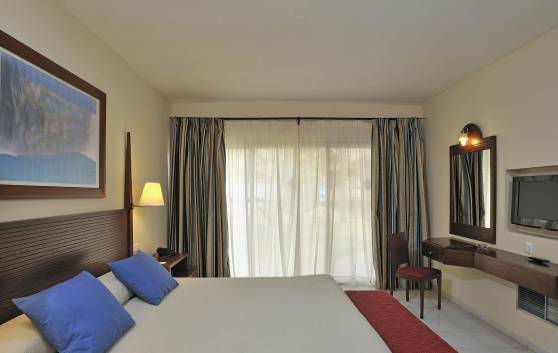 Located outside of the central building, these spacious rooms are situated in duplex bungalows, with lovely views of the garden and the pool. As well as their fresh and contemporary feel, they boast an area of 86 m² consisting of a lounge-dining room, a bedroom, bathroom, kitchenette and terrace. 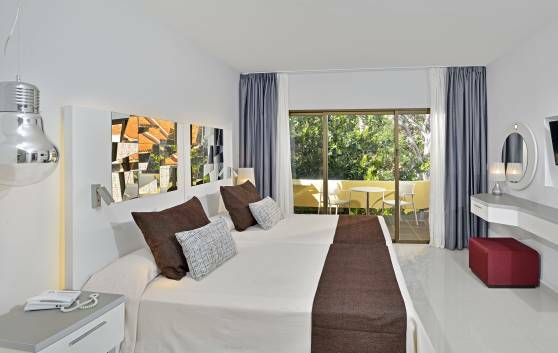 Situated outside of the central building, in duplex bungalows, these rooms boast views of the gardens and the pool. 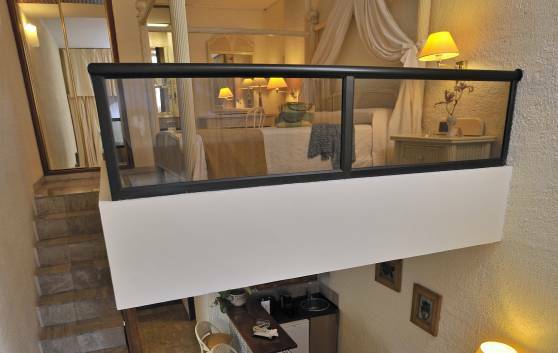 This spacious accommodation, covering 175 m², consists of a hall-dining room-bar, two bedrooms, three bathrooms, kitchenette and two terraces.